Discussion in 'Muppet Appearances' started by satay chicken, Nov 21, 2011. Yes, I am also looking for this info...can't find nothing yet. Would think it would be at George Street, or maybe Fox Studios. If I don't know by the week before, I'm just going to call around places to see if I can find what's the deal. It only says January 12. Would think it would be at George Street, or maybe Fox Studios. If I don't know by the week before, I'm just going to call around places to see if I can find what's the deal. I thought the same thing too. It's strange that there's been zero promotion for this premiere. Turns out that I might not be able to make it down to Sydney now, as that week is a pretty big work week for me. Time will tell Good luck to you too! It's released officially here on January 12th, but the premiere is December 21st. Yes, I have since seen a couple of internet releases from Sky News and Bigpond, which are vertually identical, so it must be from a Disney Press Release.I am hoping to fly down, if I can find out where it is and if the Public can go. Found out it is invitation only. But the public can gather out side and watch Kermit and Jason go in.It is at Westfield, Bondi Junction and they will be there from 5 pm. My dream is to go to Australia(and New Zealand) some day. oh wow- bondi, huh! thanks for that. how did you find that out? figured it would be invite only, but my Muppet Whatnot nad I will be there to have a look. Good sleuthing! How did you find out? I have a contact at Disney and all they could tell me was that it would be invite only for industry reps with a few tickets going to the public through competitions (probably through the Sydney Morning Herald, etc). The info I'm really wanting to know is if Kermit/Steve will be stopping to talk to people/take photos on the green carpet. It would be a dream come true to meet him! I would gather...even if I was hundreds of feet away! The atmosphere for a premiere has to be incredible!!! I found out from Disney.Kermit will be elivated so people can see him,so I dont think he will be approachable.I asked if I could get my photo taken with Kermit and the answer was no! That'll be pretty weird judging that FOX just made a stupid story against The Muppets and now the premiere is there. I'm new to this forum but have always enjoyed reading and catching up on all things Muppet! . . . I think I was one of the first members to Muppet Central when it was first launched. 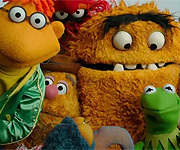 The Muppets have been a great influence in my life so much so I studied film and television and produced my own kids show back in 1999 -2000 full of puppets in my hometown of Christchurch. I live in Sydney and will be with the crowds at the Premier on Wednesday. Hopefully will get some great pics - Bondi Junction really isn't a great place for the premier due to the general design of the place. It would have been much better at George Street or The Entertainment Quarter. Disney Aust & NZ have been running competitions to win tickets to the screening over the last week - if you "like" their FB page then you can keep up to date with all the info. Also worth following Jason Segel on Twitter for info - just a thought. So excited that this movie is happening - and long overdue. Hope to see some of you next week! Great to see there are more than a few Australian Muppet fanatics out there which influenced career decision. I studied acting in W.A for three years and I honestly believe that my creative interest in the arts sprouts from my obsession with The Muppets. 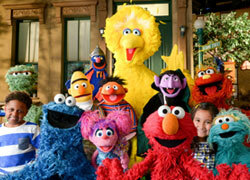 I wonder, what was the puppet television show you got produced? Was it shown here? Also, I was lucky enough to see an early preview screening of "The Muppets" in Melbourne the other night which was AWESOME. And even MORE AWESOME than that, I received an invitation to the Australian Green Carpet premiere in Sydney. I am so happy I could explode!!! I may see you from the carpet. I'll be wearing the 'Muppetational Mosaic' and the Kermit Adidas Superstar sneakers! WOW, how did you get your invitation? Do you have provision to bring others along, in which case, can I pay you for a seat? Jason Segel tweeted this afternoon - he and Kermit have arrived to a very wet Sydney today. I guess the pair will be doing radio, TV and website interviews over the next few days. Thanks for the info.I guess it is good frog weather to make Kermit feel at home. i hope people will post links!